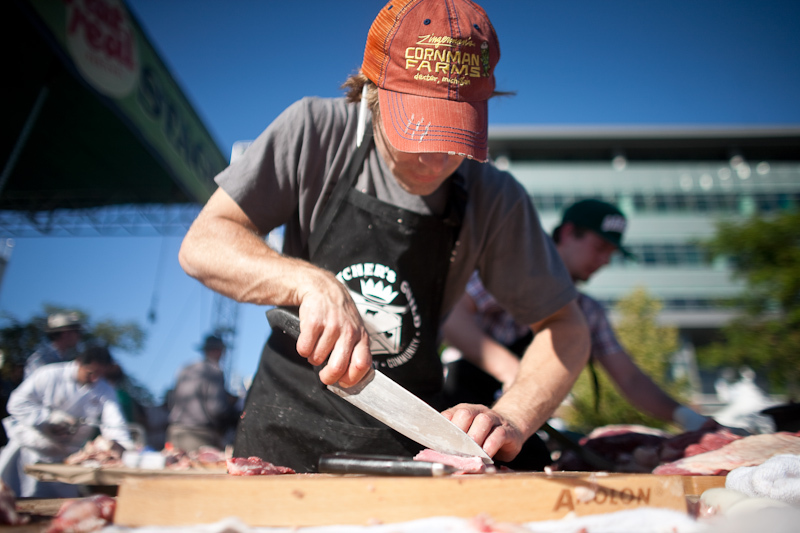 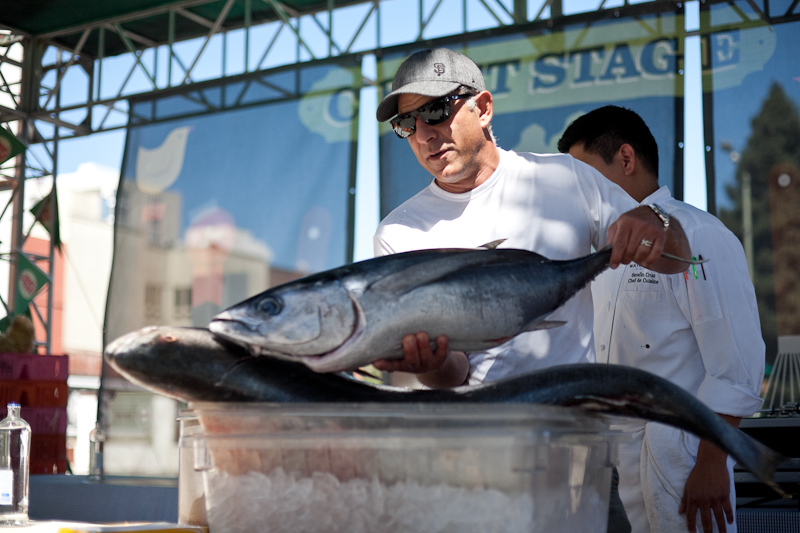 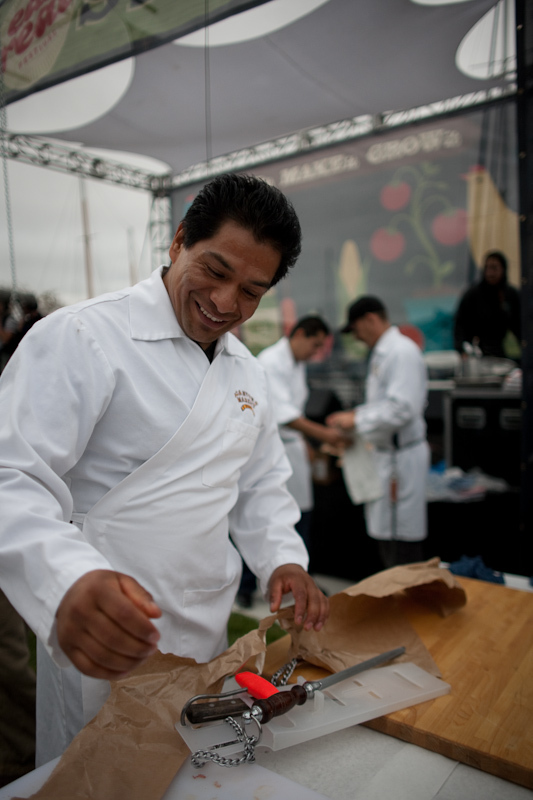 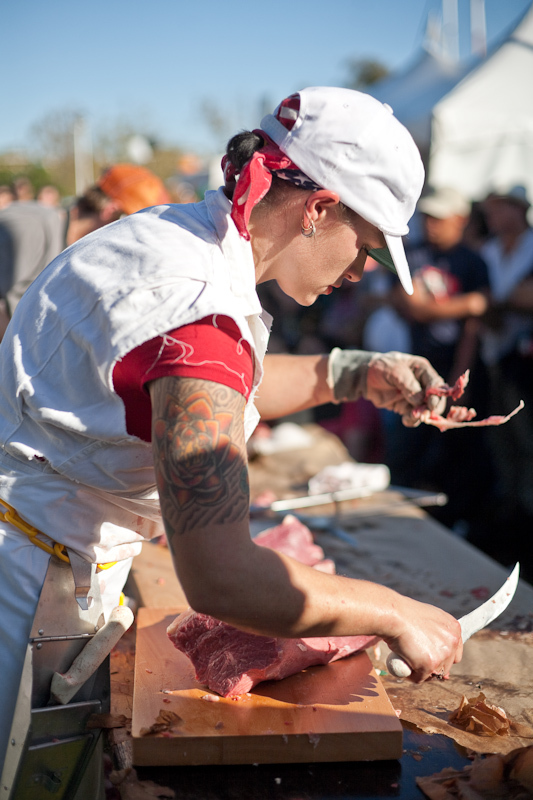 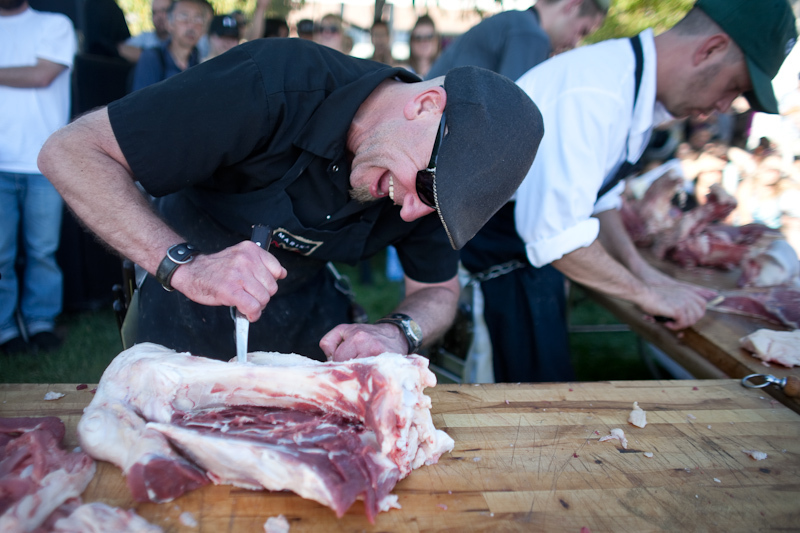 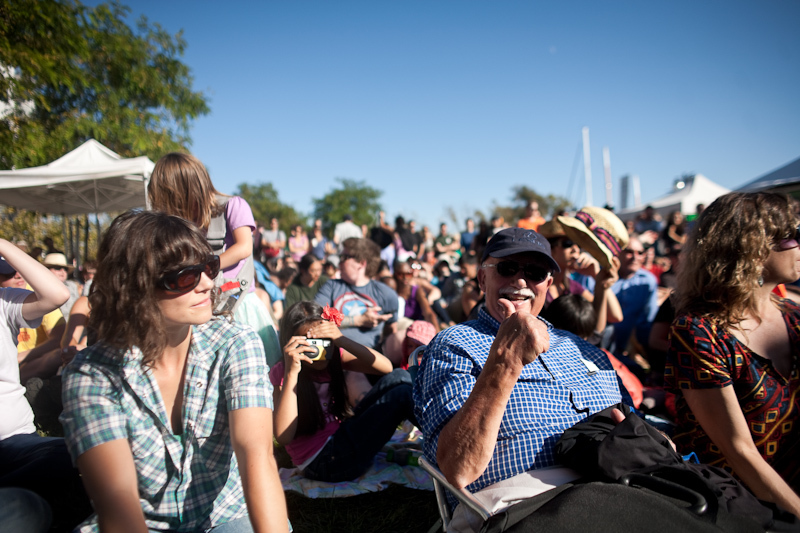 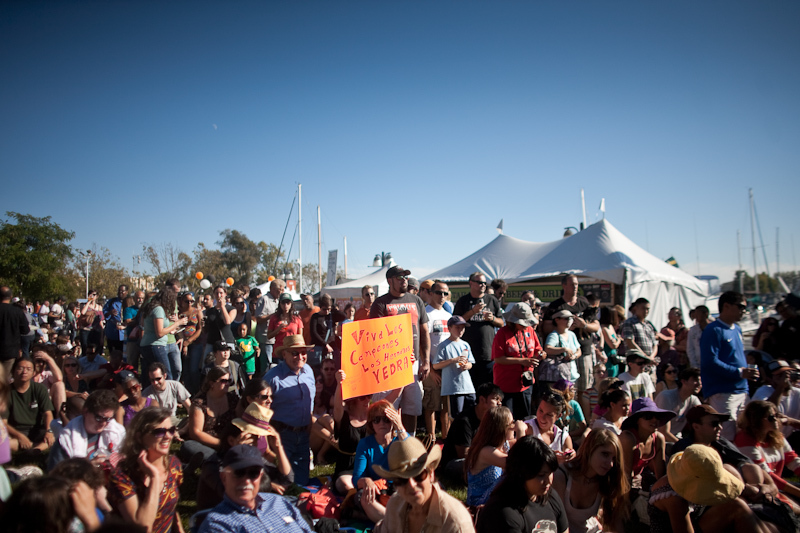 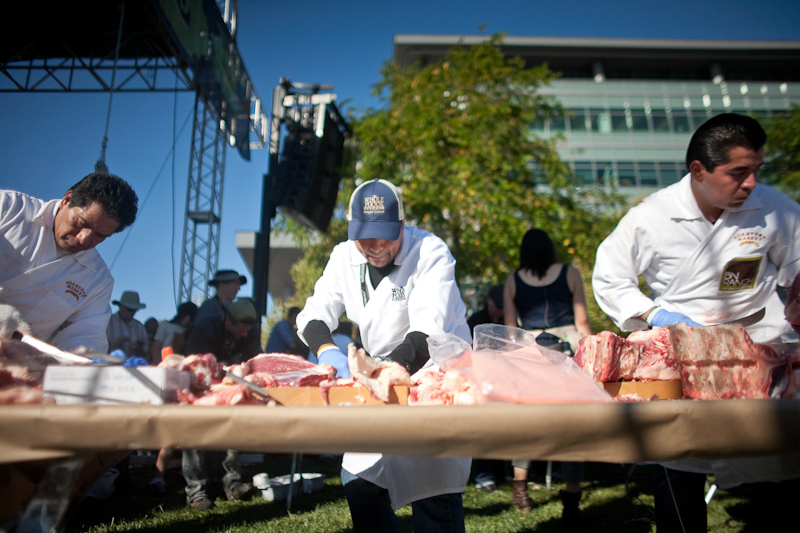 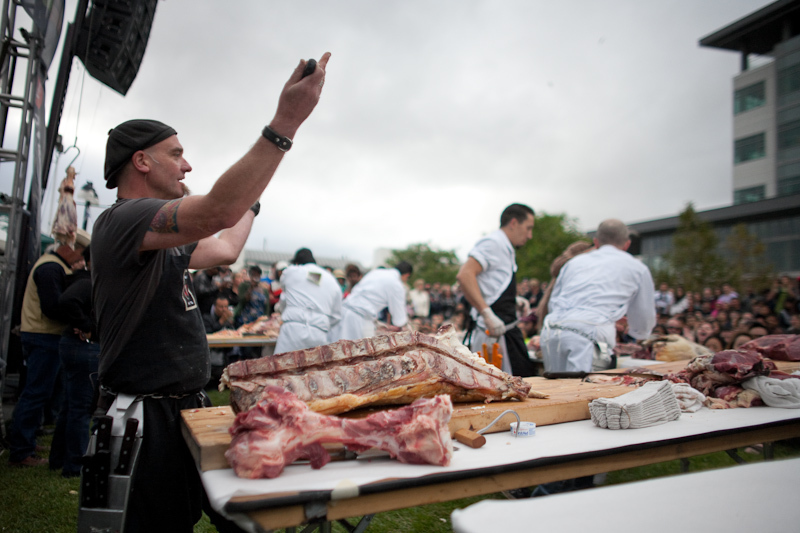 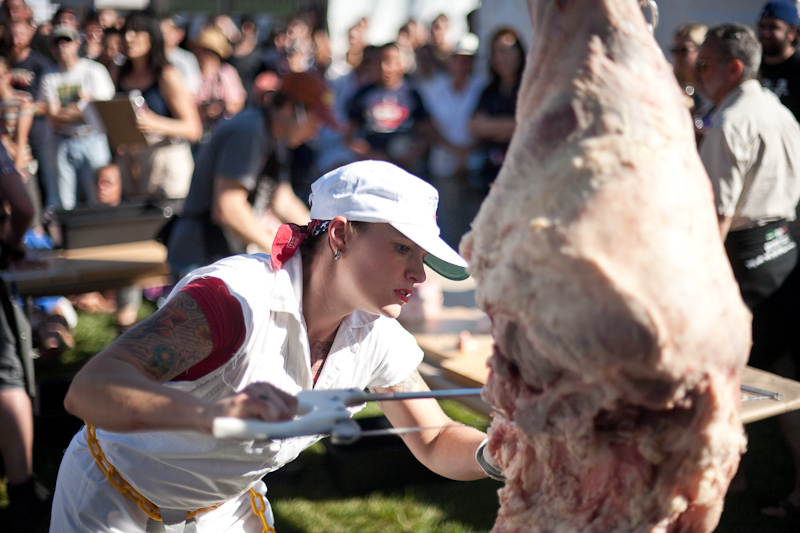 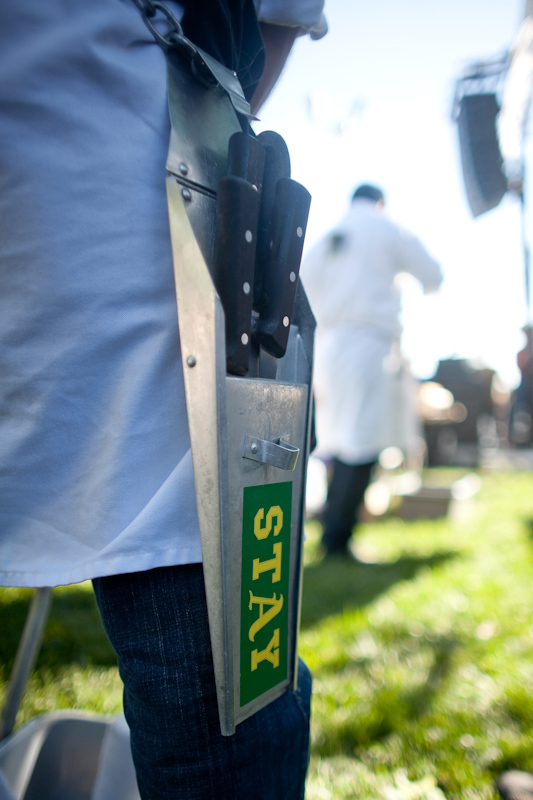 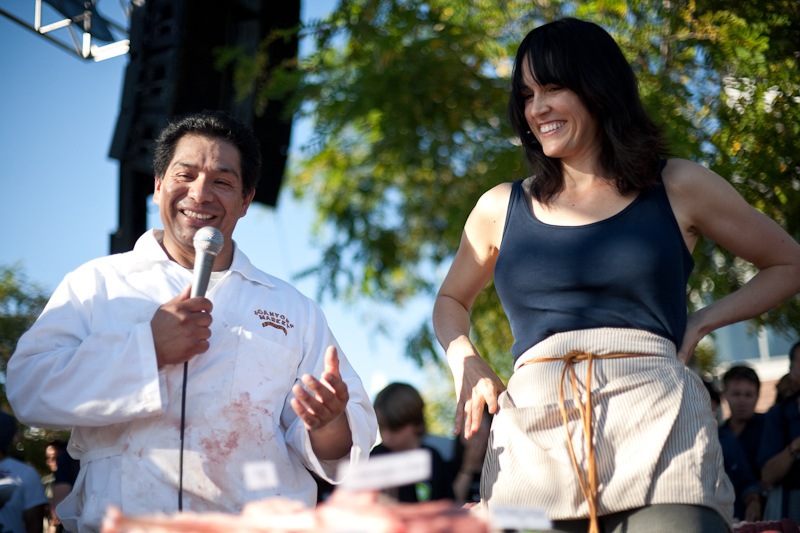 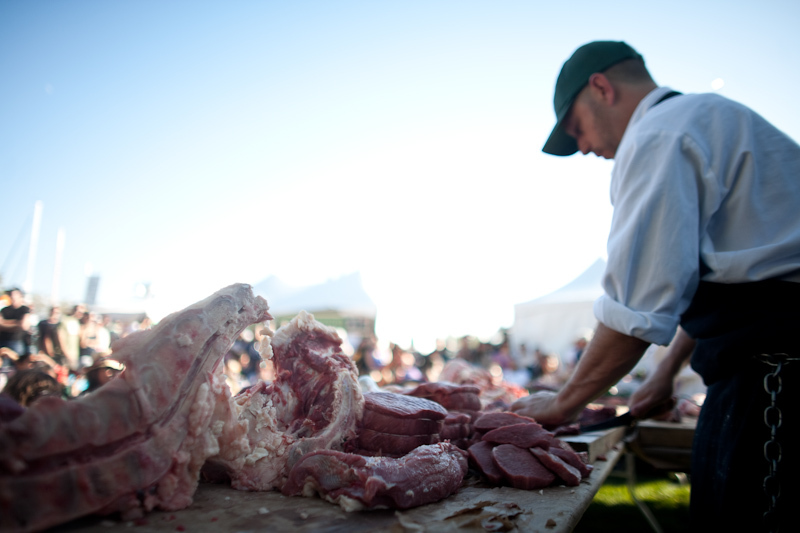 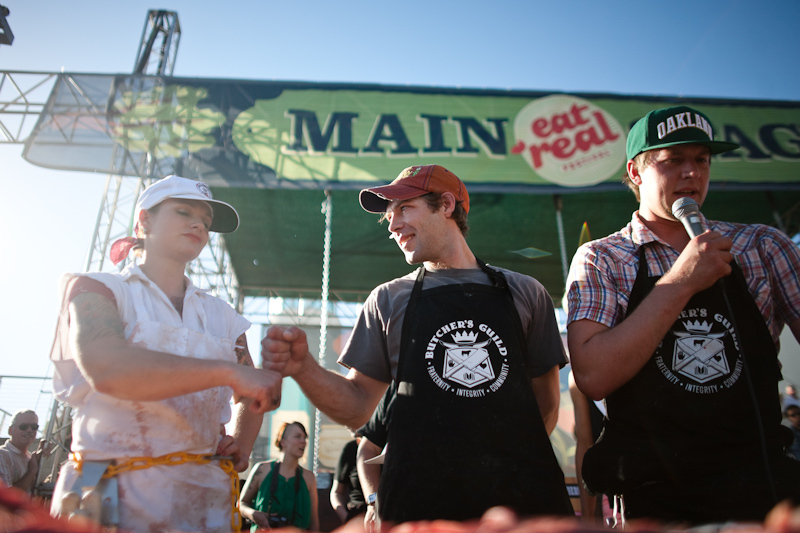 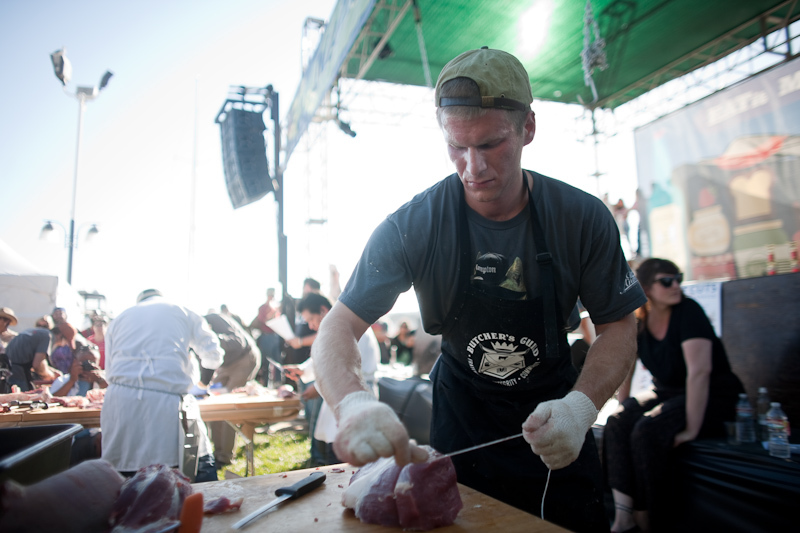 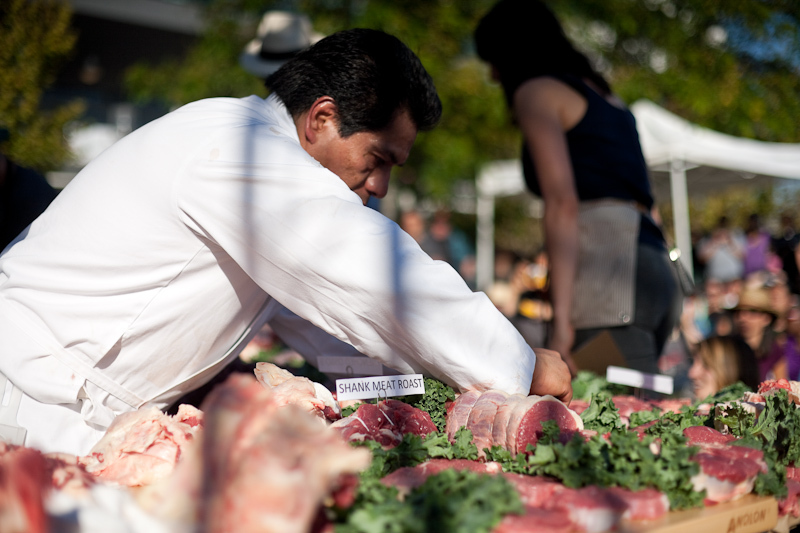 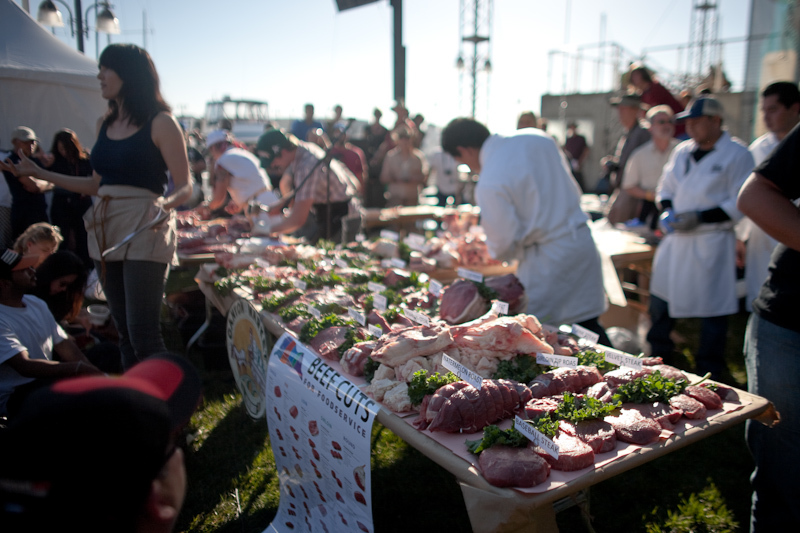 The stage was in a slightly different spot on the green at Jack London Square, but the crowd showed up just the same for Eat Real Festival’s 2012 Flying Knives Steer Butchery Competition. 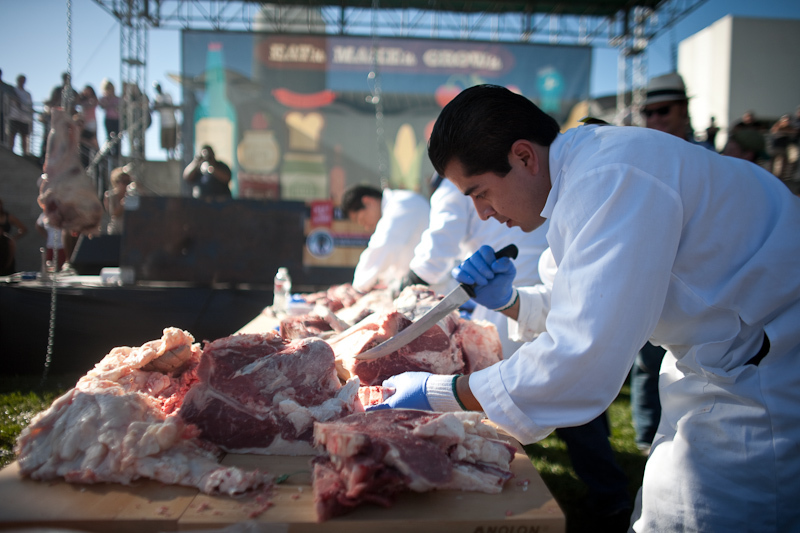 The competitors were familiar, but with some changes: The defending-champion Yedra brothers, formerly of Marin Sun Farms are now working for the BN Ranch team. 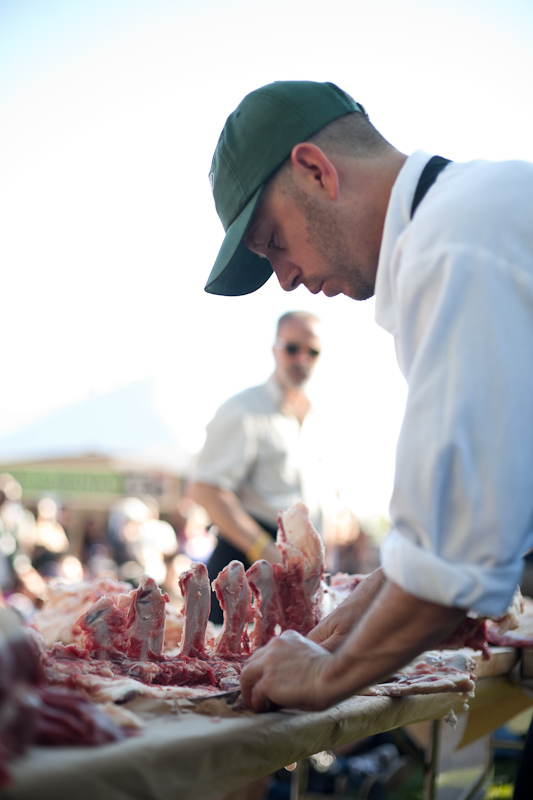 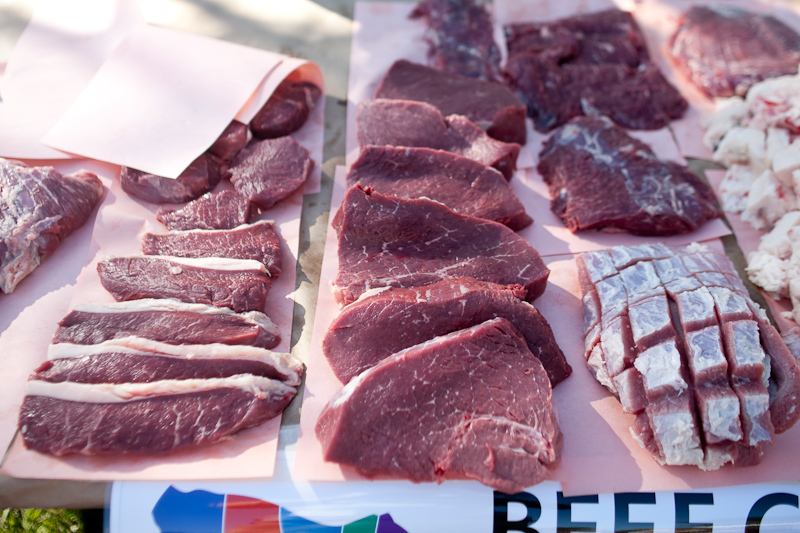 Dave the Butcher, Josh Kleinsmith and Adam Tiberio all joined forces once again, and the Butcher’s Guild put together a formidable team. 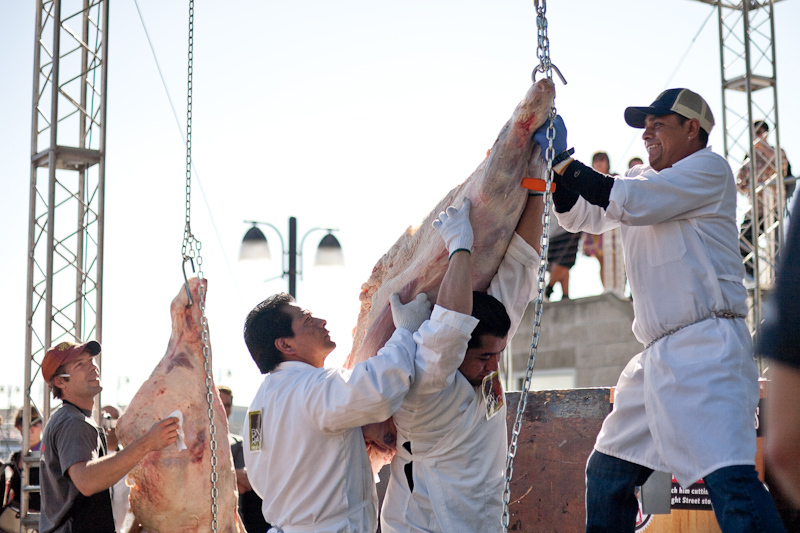 The Yedra brothers hoist a hindquarter onto the hook. 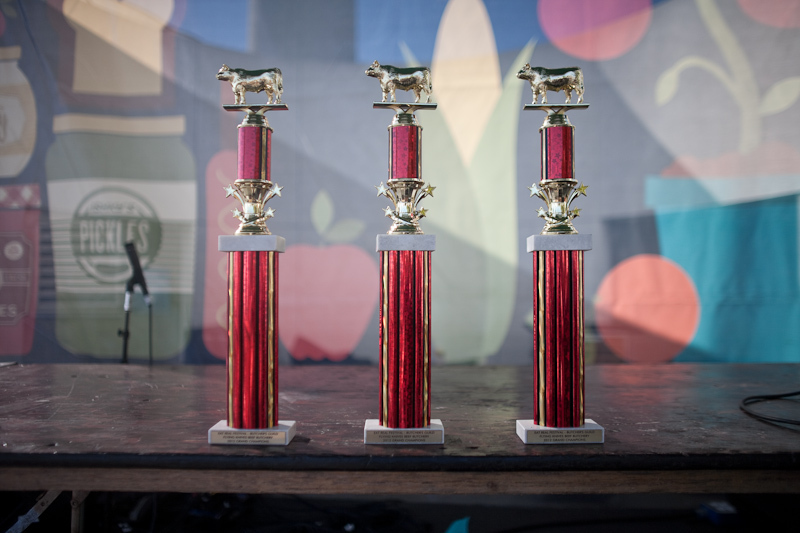 These weigh about 200lb. 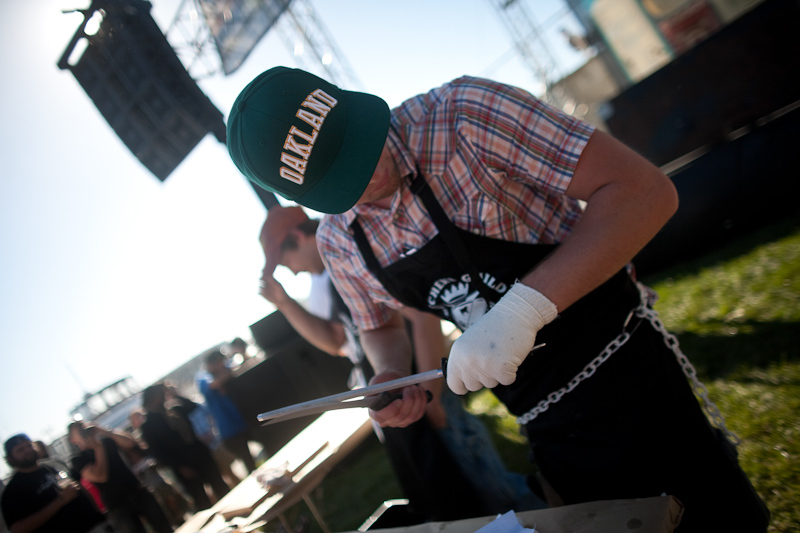 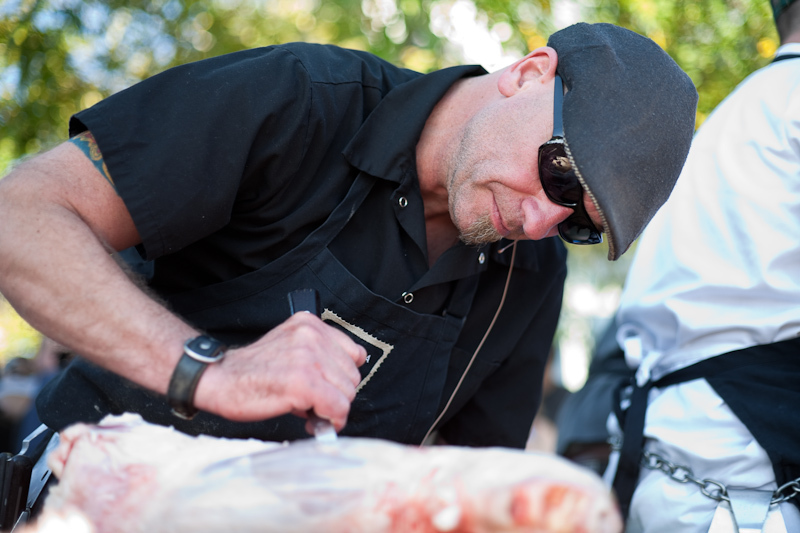 A Butcher’s Guild competitor rocks the Oaklandish STAY sticker on his knife sheath / scabbard. 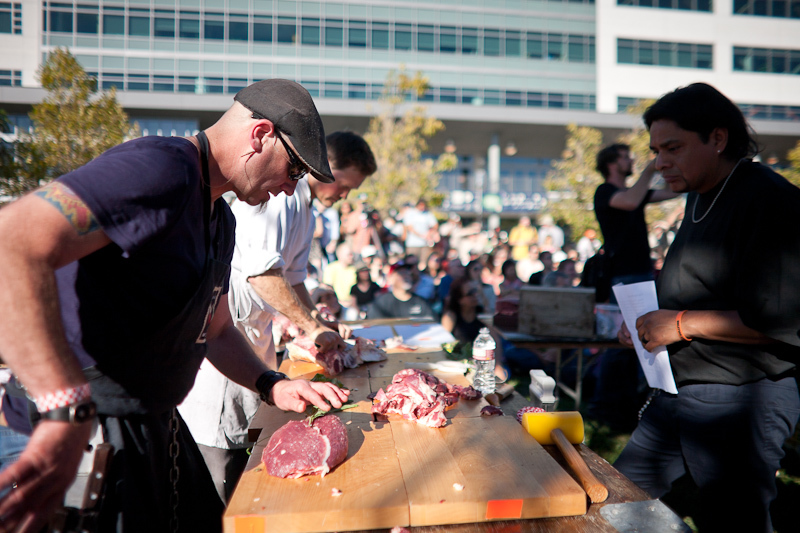 Yeah Oakland! 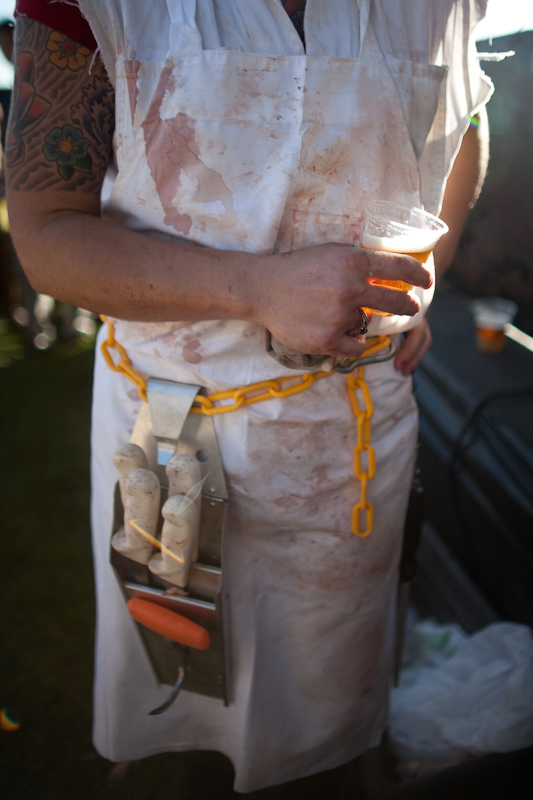 And they came well-prepared. 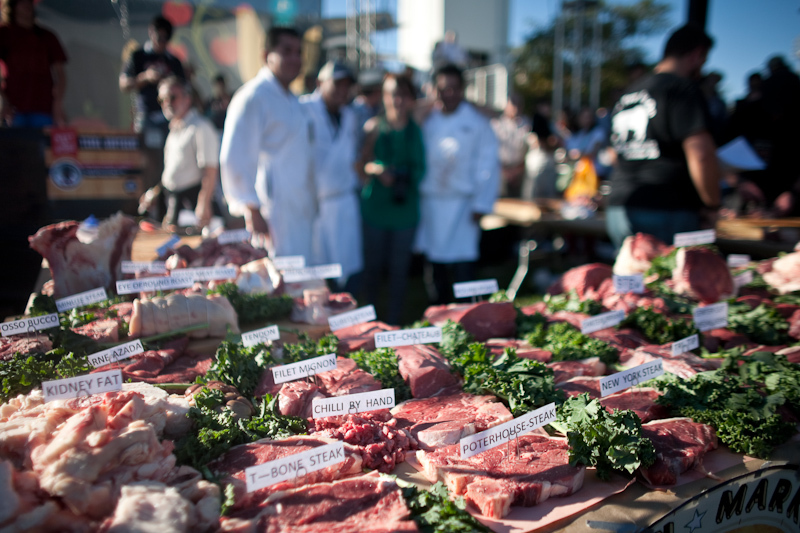 Labels and kale. 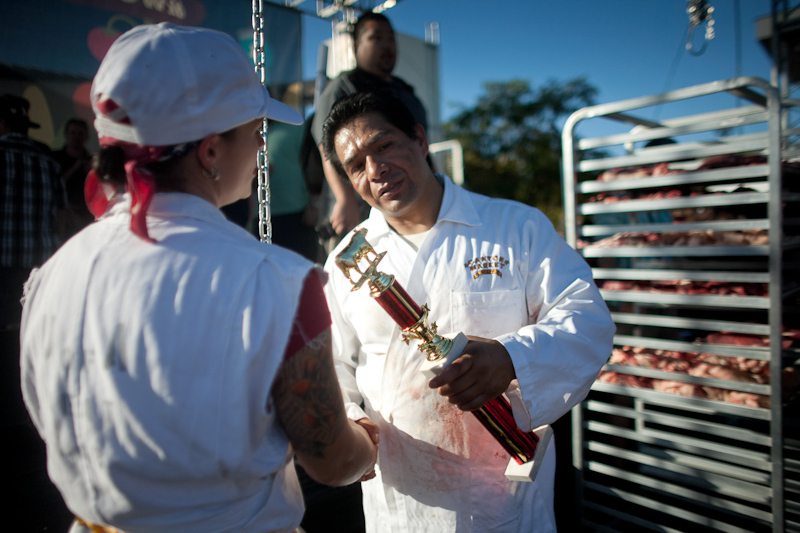 The Yedra Brothers were declared champions, once again. 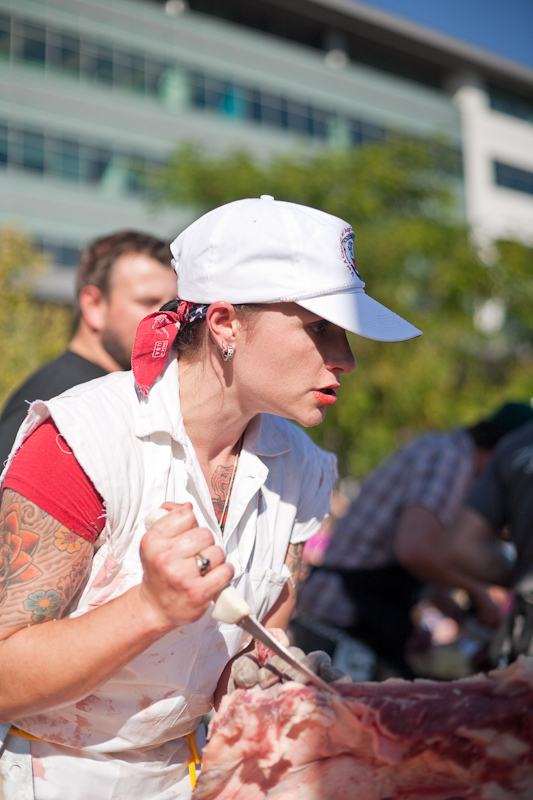 This was their 4th win in a row.